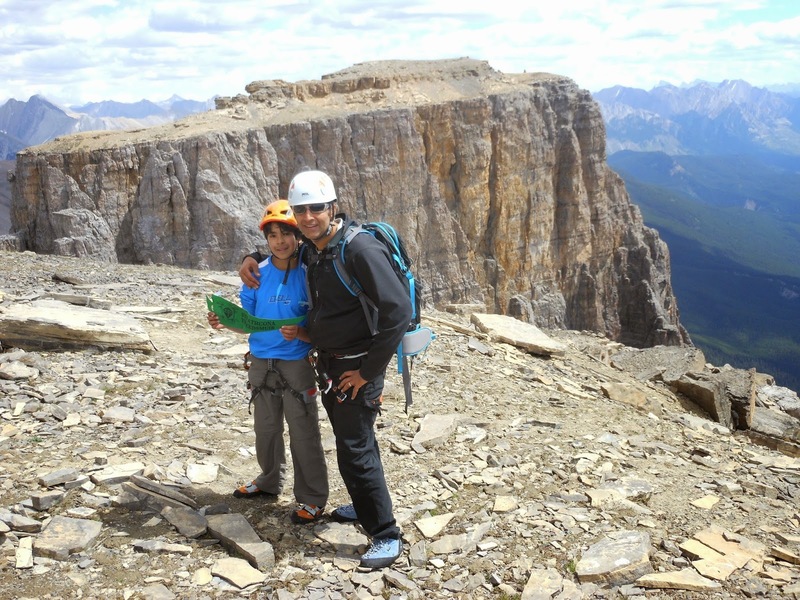 Last summer, Aadam and I climbed Castle Mountain (9075 feet). We enjoyed the climb thoroughly. During the climb we would joke ' I am the King of the Castle and you are a ..." So it seemed appropriate to entitle this blog King of the Mountain. We have gone on to read many books about climbing in particular in Into Thin Air. In these books we witness the humility that the climbers exhibit when it comes to their goal. Most climbers do not boast that they have conquered a mountain but rather that the mountain has allowed them to climb it. While we are cognizant of the personification that this entails, we feel that the sentiment is true. In order to climb a mountain multiple factors need to come into alignment: opportunity, health, courage, weather, and luck are but a few. It is with the same sense of humility that Aadam and I approach this climb. We are blessed to have the opportunity to climb, the health to climb, the shared adventurous spirit that made this possible, and a family willing to support this. It is with humility that we ask that the journey be full of learning about the people of Nepal, the environment, and ourselves. Shepas call Mount Everest Chomolungma and respect it as the "Mother of the World." Dear Mother of the World, we journey to you. We carry best wishes from many people far away and we journey with open eyes, open heart, and open mind. In humility we approach and in humility we will carry the memories of this experience with us for the rest of our lives.